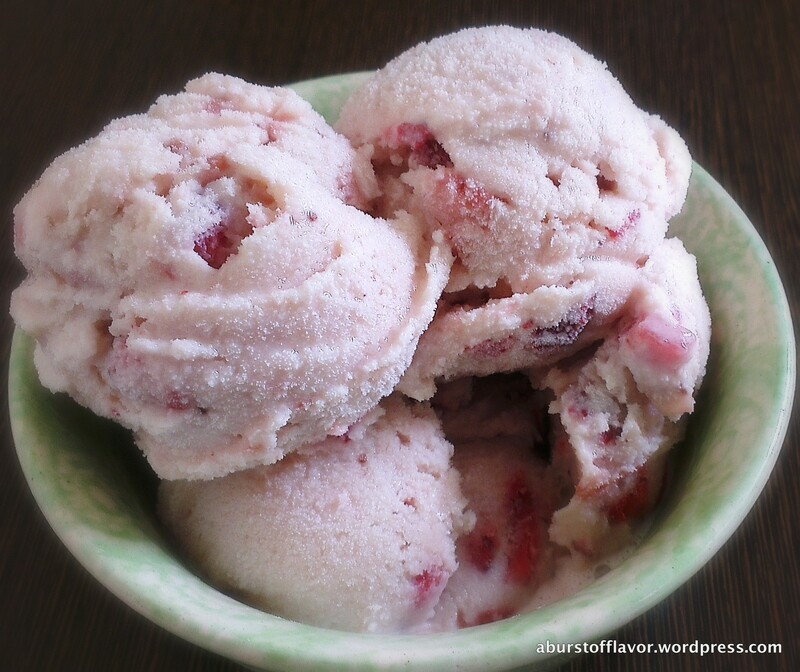 There was this ice cream maker I’d been eyeing for a long time. So imagine my delight when my sister gifted me the said ice cream maker for my birthday! 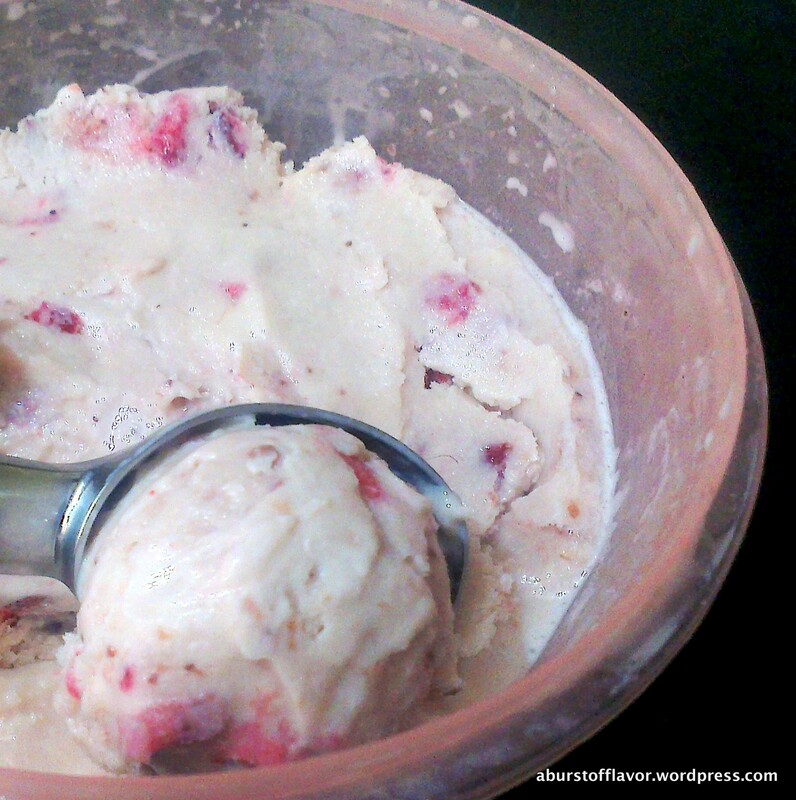 I tucked the ice cream container into the freezer and plunged headlong into making ice cream the very next day. I asked DH what flavor he wanted, and he was undecided. 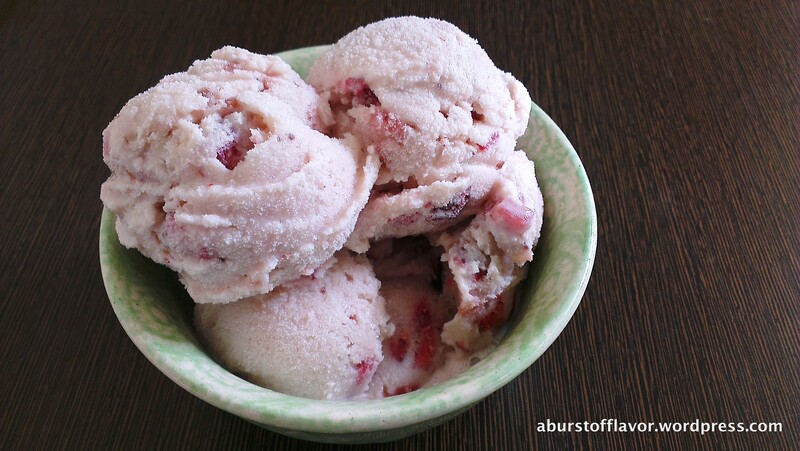 From my routine trip to the supermarket, I came across a bunch of fresh strawberries and that decided what my ice cream would be! 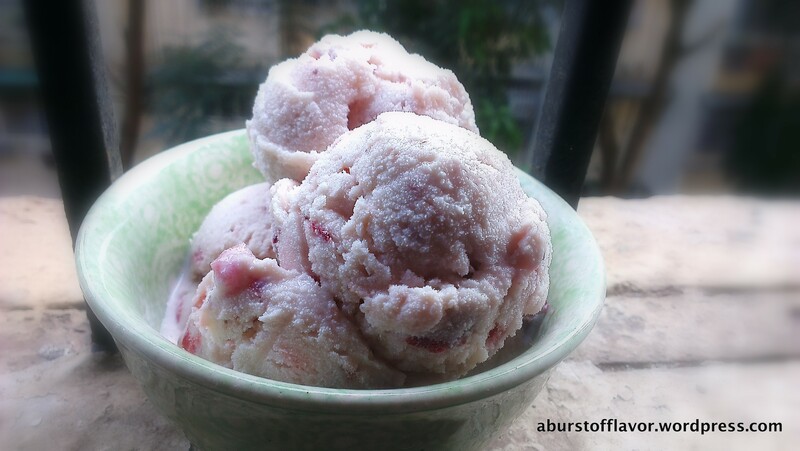 Since this was my first time making Ice creams, I used a superb and easy recipe from Chefinyou. You can head over here for the original recipe. There are detailed step by step instructions which are easy to follow. 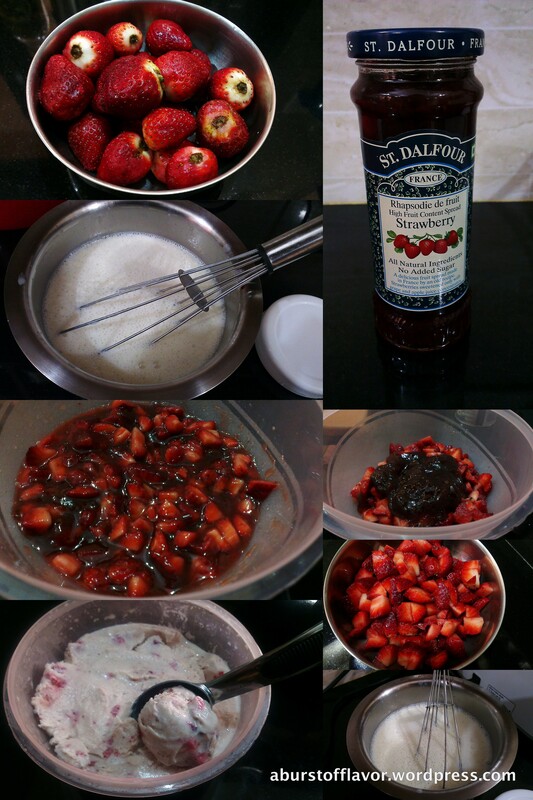 The changes I made were that I substituted Cardamom essence in place of Vanilla, added Strawberry preserve and macerated the chopped strawberries, and used a combination of heavy cream, fresh cream and condensed milk for the base. 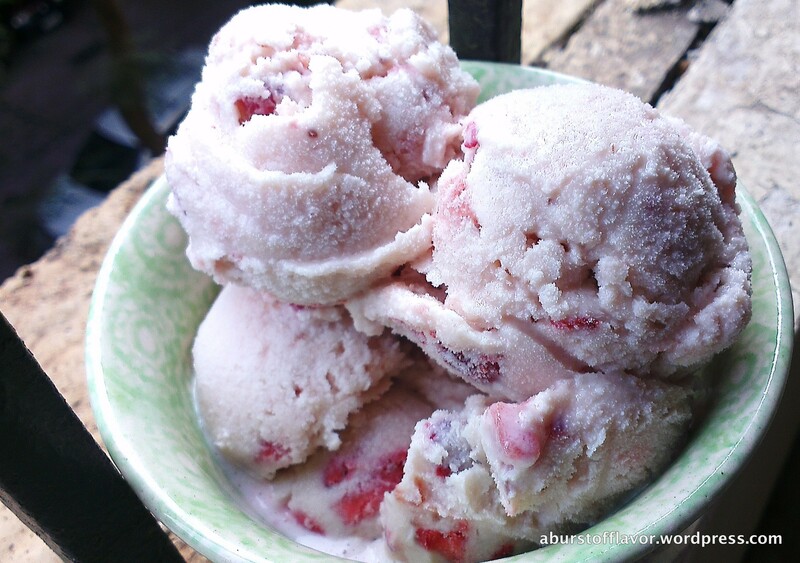 My ice cream maker took 25 mins to get to soft-serve stage, at which point I took the ice cream out and mixed the strawberries in by hand. I let it set in the freezer for about 12 hrs; in hindsight, the ice cream took longer to set maybe because of my use of fresh cream. 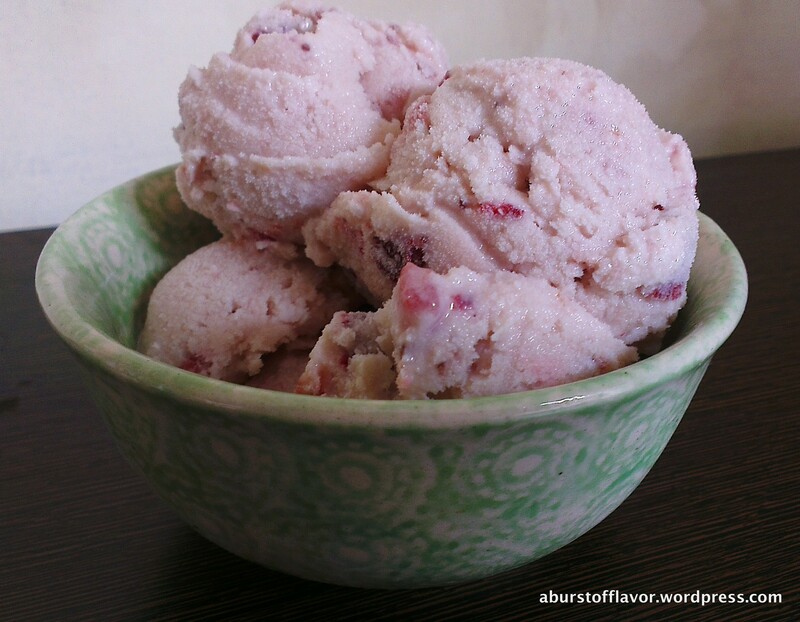 Try it 🙂 Once you make ice cream at home, you will never feel the need to go to the store again to buy ice cream !